'Wanted' director Timur Bekmambetov returns to the director's chair with mixed results. Most folks recall that 'Wanted' was a terrible film. No amount of marketing could have saved that dog-faced film. 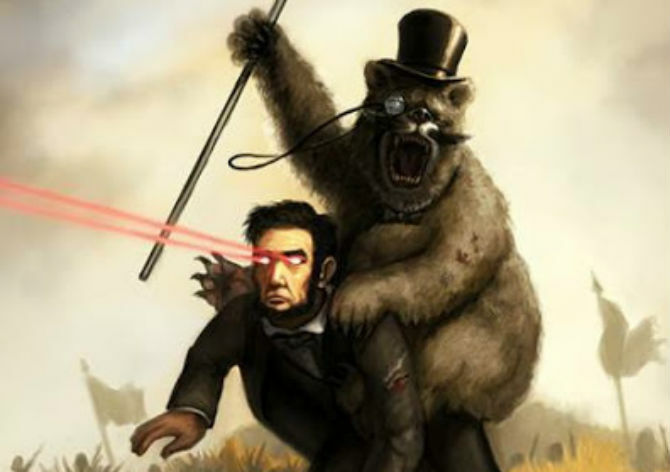 Thankfully Bekmambetov has more to work with in 'Abraham Lincoln: Vampire Hunter.' Revisionist history aside, the subject matter is fun. It's unfortunate that the movie isn't more fun. Based on Seth Grahame-Smith's 2010 campy novel of the same name, Bekmambetov doesn't do the material justice. It's lazily written and too long. 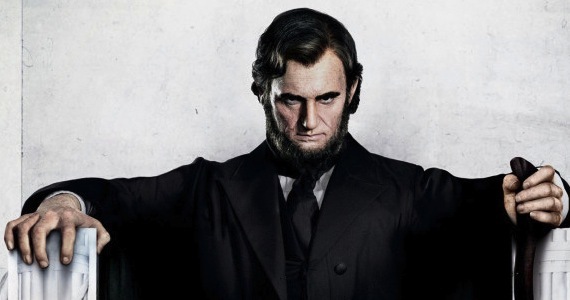 That said, Benjamin Walker as Honest Abe is fantastic. Walker is incredibly charismatic and will no doubt enjoy a long career. Dominic Cooper (An Education, The Duchess) as Henry his mentor is equally charismatic and a true scene stealer. Anthony Mackie (Adjustment Bureau) as Abe's most trusted friend does a fine job as well. The problem in this film isn't the acting or the material. The problem is the film's construction. Considering the quirkiness of the material, this film could have been so much more. The metaphors laced throughout the film are compelling, but the film doesn't capitalize on it. Unfortunately, all that starts well doesn't always end well. Similar to 'Seeking a Friend for the End of the World,' 'Abraham Lincoln: Vampire Hunter' loses steam during it's second half. The film is currently coming in at a whopping 38% on rottentomatoes.com. Admittedly, there are some enjoyable aspects of 'Abraham Lincoln: Vampire Hunter,' despite the lazy writing and excessive CGI/wire fu. Benjamin Walker's performance alone is worth the price of admission. So if you like mindless action movies, then by all means go see this movie. I confess I had a great time, but don't pay $10 like I did. Save a few $$ and see it in the $1.50 theater. See trailer here. 'Seeking a Friend for the End of the World' starring Steve Carrell and Keira Knightley has been getting mixed reviews, but it's enjoyable. The first hour of the film is witty, offbeat, and delightful--a perfect apocalyptic film. Unfortunately, the film loses steam during its second half. As the asteroid gets closer the film gets cheesier. What starts out as the perfect mixture of end of days antics and despair, soon turns into a silly unromantic love story. Glad there's at least one place open when the world is ending. The film feels like a remake of the wonderful Canadian film, 'Last Night,' starring Sandra Oh and Callum Keith Rennie. 'Last Night' was a serious drama with sincere questions about the end of life on earth. 'Seeking a Friend For the End of the World' has a near identical storyline, but unlike 'Last Night,' there are only a few moments of sincerity laced throughout the film. 'Seeking a Friend For the End of the World' is whimsical and fun to watch, but it's not cohesive. Had it been 15 minutes shorter, this film would have been great. But overall 'Seeking a Friend for the End of the World' is worth watching and very entertaining. See Trailer here. 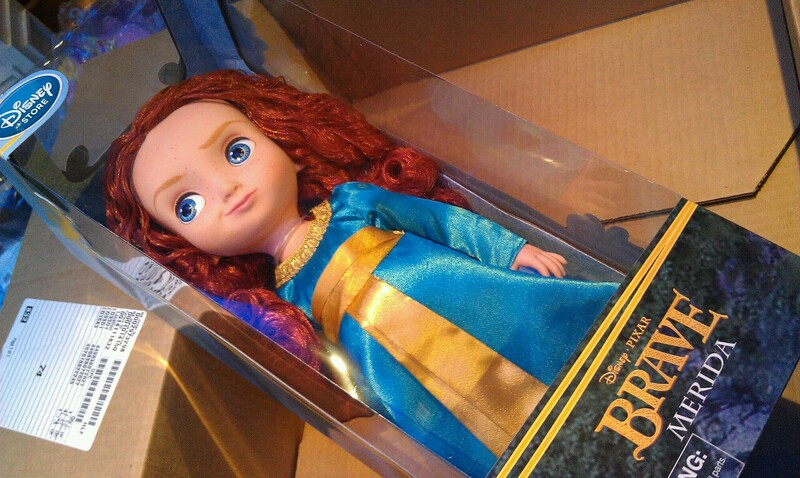 'Brave' merchandise arrives in stores. Granted, I'm not much of a Pixar animation person, although I did enjoy 'Wall-E' and 'Up.' 'Brave' is not in this category. It's cute and the kids will love it, but unlike 'Wall-E' and 'Up,' it's not for adults. And now that Disney has purchased Pixar, 'Brave' is just another vehicle for Disney to sell princess merchandise. If you have kids, especially little girls, they will love this film. The fiery Scottish red-head Merida is a much better role model than Bella Swan from 'Twilight.' See trailer here. Abraham Lincoln is getting trashed, which is a shame as I liked the book. Will probably see Brave tonight. I was wondering about seeing the end of the world film, not sure now... Brave does not grab me-far too old, also I thought that Disney owned Pixar already? I bow to your far greater knowledge. Alex-- I think you should still see Abraham Lincoln. It's similar to John Carter, in the sense that it's not a critic favorite, but it's not bad. It's actually a lot of fun to watch. Just go see the matinee. If only they had a different director. Paul-- I think Pixar was it's own studio before Disney acquired them. That was my impression. I will have to check on that. I definitely want to report information correctly. Thanks for the heads up! I enjoyed Abe a lot. I wish there had been a little more meat to the story and what was with the vampire chick? She hardly spoke at all and I wish there would have been lots more with Rufus Sewell. A vampire that old and powerful gets like a dozen minutes of screen time? Come on.